Perhaps that was the intention with Serge Aurier, before the right-back proved too unreliable and simply not good enough to make the spot his own. But Mauricio Pochettino must now review his starting line-up and decide whether it really cannot be improved. Spurs were playing a different transfer game last year, but the game has changed 12 months on. There are no obvious, available upgrades for most of these excellent first-choice players. A spine containing Hugo Lloris, Davinson Sanchez, Jan Vertonghen, Eric Dier, Christian Eriksen, Dele Alli and Harry Kane would be the envy of most clubs. But there are areas that, if Pochettino looks upon his squad with a more critical, uncharitable eye, he will see need to be improved. 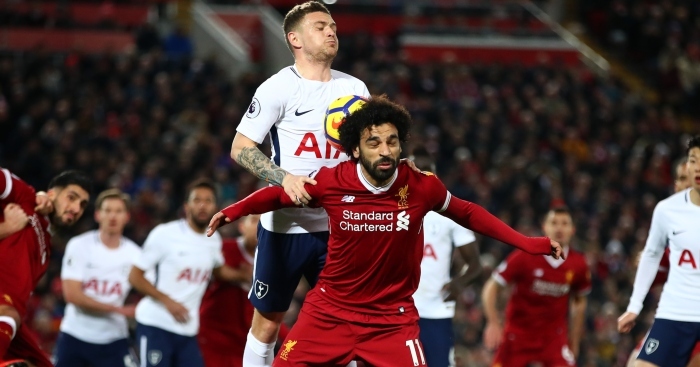 Kieran Trippier kept his place through loyalty and the inability of his direct rival to capitalise on the situation. That is no reason for him to be starting most games again next season. At 28 and with four Premier League seasons to his name, logic dictates that Cheikhou Kouyate should be entering his peak years, if not already enjoying them. But his latest campaign was his worst yet at West Ham. His passing accuracy was down, he made fewer tackles, interceptions and clearances, and his number of unsuccessful touches increased. By almost every metric, he had regressed. The Hammers will hope that a solid World Cup showing can generate some interest. Kouyate will captain Senegal in Russia, presumably fresh from a season he breezed through. Whether he stays or not, a club with West Ham’s ambitions must do better. The midfield has taken care of itself. Now for the rest of the Liverpool squad. It is less a criticism of Dominic Solanke and more an acknowledgement of how far and how quickly up the ladder Liverpool have climbed to suggest they need better back-up for Roberto Firmino. A cursory glance at the benches of both teams in the Champions League final told its own story: Gareth Bale scored more goals as a substitute on Saturday than Solanke had for Liverpool all season. The gulf in squad options was startling. Solanke is young, talented and will likely develop into a fine player, but Liverpool are building a squad ready for the present, not just the future. The 20-year-old needs time to progress away from the considerable shadow of a wonderful attack. Twenty-seven appearances but fewer than half the minutes (726) of Philippe Coutinho (1,509) at the club is serving precisely no-one’s best interests. Jose Mourinho likes Phil Jones. “If we manage to have him safe, protected from injuries, I think potentially he is everything I like in a central defender,” said the Portuguese last summer, with the first word of that sentence doing an awful lot of work. 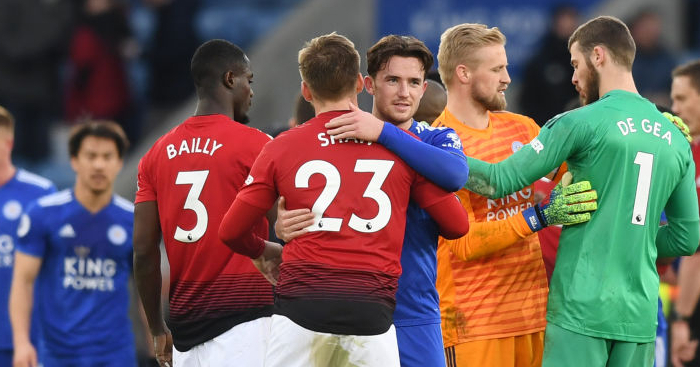 The centre-half has had worse seasons in terms of fitness – although he did play fewer games than Victor Lindelöf, and fewer minutes than Ander Herrera. Of Manchester United’s 56 games this season, Jones was in 31 squads. But there were no appearances in the Champions League, three in the Premier League after January, and just two in the FA Cup, including his decisive mistake in the final. 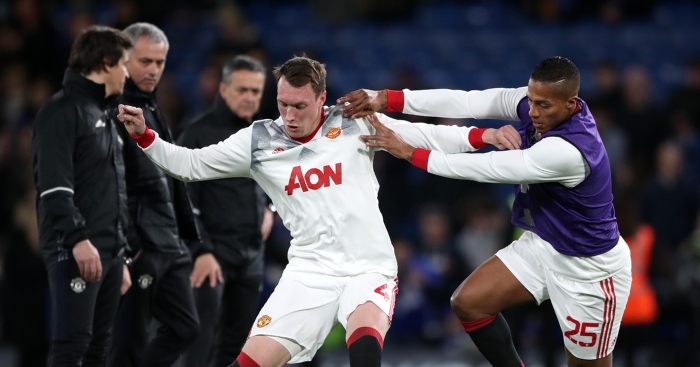 In terms of being a regular starter, Jones is less drinking at the last chance saloon and more stumbling out, rummaging for his phone and keys and presumably pulling a funny face. Just as Gareth Southgate was right to choose him over Smalling because he fits the England remit, Mourinho would be justified in favouring Smalling’s defensive superiority over Jones’ passing. That does rather feel like winning a tallest dwarf competition – neither should be starting for a club with Premier League title and Champions League aspirations – but still. The idea was right with the signing of Davide Zappacosta, but the execution was ever so wrong. The Italian arrived for an unfathomable £23m last September as long-awaited cover and competition for Victor Moses. Both are wonderful squad options, but neither come close to that upper echelon of wing-backs. One is a Premier and Europa League winner, the other an Italian international; neither are fit for the purpose of starting in two major competitions a season. Moses has improved immeasurably under Antonio Conte. His skills has been honed, his awareness and tactical flexibility refined, and his profile raised. Yet to pretend that Chelsea could not do better than both him and Zappacosta would be a mistake. Perhaps let the manager have more of a say this time? As perceptive as he is, Unai Emery has managed to quickly spot the gaping bullet wound in Arsenal’s squad and has already set about trying to stem the bleeding. Sokratis Papastathopoulos is likely to be the first of four proposed defensive signings this summer, all designed to either improve or entirely replace a rearguard that conceded just five goals fewer than West Brom in the Premier League this season. Laurent Koscielny is injured for the foreseeable future. Nacho Monreal is still excellent, but has shown signs of frailty these past few months. Calum Chambers, Rob Holding and Konstantinos Mavropanos all theoretically have time on their side. Per Mertesacker is retiring. And maybe even shy. Shkodran Mustafi is the odd one out, the last remaining fit and experienced current centre-half. With the unerring loyalty of Wenger no longer a factor, the new manager is unlikely to be so forgiving with his opportunities. For a time, it felt as though Ashley Williams would rise to any challenge, beat it in the air and then reorganise his defence. The Welshman stepped up from non-league football to League Two, League One, the Championship and then the Premier League seamlessly, even taking international and European football in his considerable stride. At one point, he really might have been Britain’s best centre-half. This season has been a crushing victory for Father Time. Williams has been haphazard and lacklustre, exposed by faster, better, stronger players. Everton kept just nine clean sheets in his 34 appearances this season, and three of those came in last summer’s four Europa League qualifiers. Even Sam Allardyce lost his patience with the 33-year-old at times during his ill-fated reign. His successor will surely not afford him that patience. To play as a striker for Rafael Benitez cannot be easy. The top league goalscorer in his first season at Valencia was midfielder Ruben Baraja (7), while John Carew, Pablo Aimar and Fabio Aurelio (8) all shared the load in his second. Mista netted 19 goals in his third campaign in charge, but things regressed to the mean at Liverpool. The top league scorers in his first three seasons were Milan Baros (9), Steven Gerrard (10) and Dirk Kuyt (12). Newcastle will not sign a Fernando Torres to remedy the issue as Liverpool did. But Benitez will recognise that, as hard-working, diligent and selfless as Dwight Gayle is, he is restricted. The 28-year-old has never scored more than seven goals in a single top-flight season, and has 21 goals in 99 Premier League games. He has 36 in 61 in the Championship. There is no shame in struggling somewhat with the promotion. Gayle has at least kept his footing when countless others have tripped and fallen on their face before retreating back from whence they came. But Newcastle cannot stand idly by waiting for lightning to strike twice. 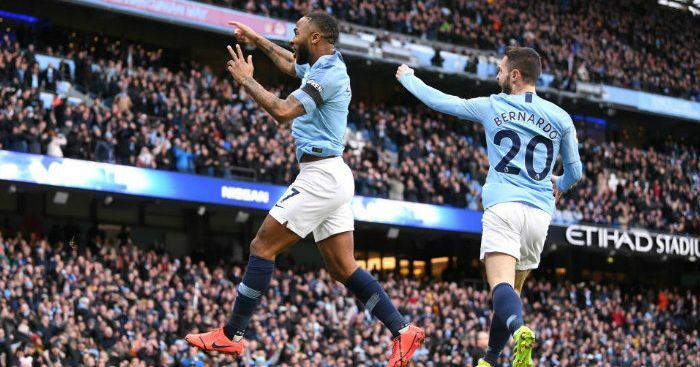 They finished tenth last season; it is time to emerge from the cocoon of a club battling relegation and establish themselves as a regular top-flight side with players befitting their new status. It feels like an awfully long time since Jose Mourinho described Antonio Valencia as “simply the best right-back you can have”. The Ecuadorean had just signed a new contract at Manchester United, and the manager was insistent that “there is no better right-back in football”. That was 18 months ago. In the year-and-a-half since, Valencia has slowly and quietly declined, his marauding, rampaging runs becoming less regular, and his influence waning with each passing month. He remains a solid defender, but painfully one-dimensional and limited. Jonny Evans has provided more assists this season. Mourinho railed against the money Manchester City were spending on full-backs in December. Any realistic hopes the Portuguese harbours of catching Pep Guardiola’s side hinges on him following suit. If you can’t beat ’em – and a 19-point gap suggests they really can’t – join ’em. “I don’t know who will be in goal at the weekend. I will think about it,” said Jurgen Klopp in December 2014. Borussia Dortmund’s 1-0 win over Hoffenheim the previous week handed the German a dilemma: keep faith with Mitchell Langerak, or reinstate the struggling Roman Weidenfeller. The former started the next three games, with Dortmund losing two and drawing one. Langerak’s stutter helped Weidenfeller reclaim his starting place by late January, but he kept just six clean sheets in his last 15 games of the season. The uncertainty helped no-one in the long run. Klopp has allowed a similar situation to fester at Liverpool. He inherited Simon Mignolet just as he did Weidenfeller, and signed Loris Karius just as he did Langerak to support and challenge him. But history has repeated itself and neither the supposed master nor the apprentice have deemed themselves worthy. The Champions League final was a regrettable but inevitable conclusion to the doubt that has surrounded the position for years. Karius is the only goalkeeper Klopp has ever signed for a seven-figure sum, and the manager’s refusal to check his historic blind spot is infuriating. 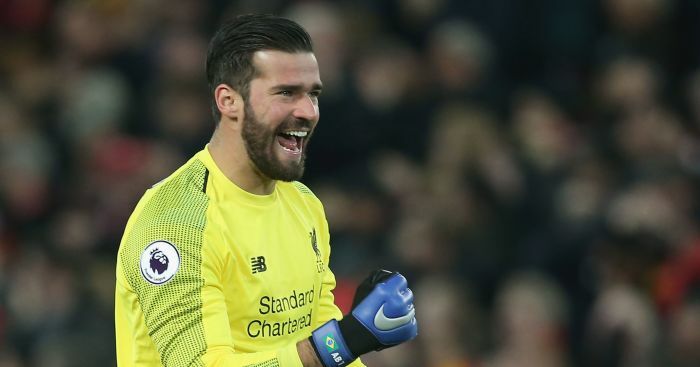 Whether the answer is to point the spotlight at a more experienced hand to help Karius recover and develop, or whether it is to simply invest more heavily in a ready-made replacement is unknown. But Klopp has to accept his approach thus far has borne inedible fruit. The time to be ruthless is now. Only one Liverpool player makes the list, but where? And don't forget the fella who "spoiled" the transfer window. 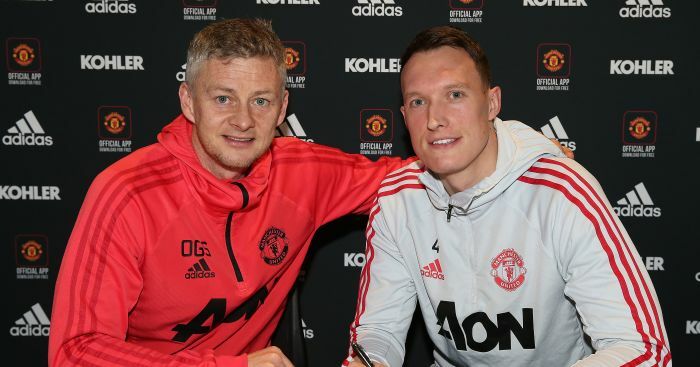 Phil Jones says Ole Gunnar Solskjaer has been a "breath of fresh air" at Manchester United. Loris Karius reportedly wants to end his two-year loan deal at Besiktas early and return to Liverpool.